What we’ve come to understand over many years, is how important it is to every customer that they look exactly how they imagined on the special day. That’s why we excel at tailoring our makeup services to your exact specifications, so you look absolutely fabulous no matter what the occasion is. Whether you like a natural look or something that just screams high fashion, we can accommodate whatever style you’re chasing. We’re always updating our products and techniques to stay current with the latest trends and fashions, so don’t hesitate to ask if we can help you with whatever look you’re trying to achieve! We try to use a wide range of high-quality products and work hard to ensure that our make-up is as eco friendly as possible, because we wouldn’t put anything on your skin that we wouldn’t be comfortable putting on our own. Customers with sensitive skin have nothing to fear, we cater to your every need to ensure that our range of makeups feel as good to wear as you look wearing them. 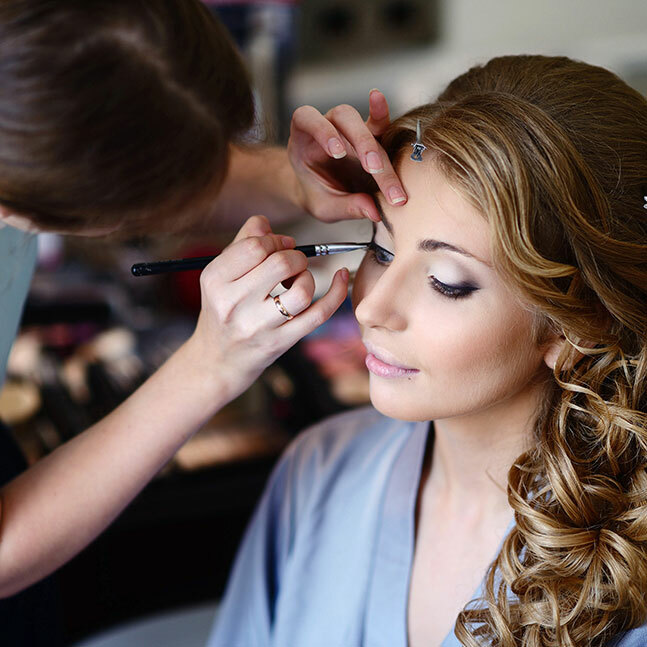 If you’re looking to take the hassle out of dressing up for a big event, let us come to you and provide the same top-quality makeup services at a place of your choosing. Our mobile consultants use the same products as are used at the Dot and Birdie salon, so rest assured that your makeup will look as good as if it were done in-house. Our makeup consultants will travel to you anywhere within Maleny and the surrounding townships, but please contact us before booking an appointment to see whether or not we are able to make it to your location! Please note that our mobile consultants may charge at freelance rates, which differ from salon rates, so to be safe we recommend contacting us to ask any questions or discuss your requirements before making a booking.